Several months ago my friend Jen sent me an email around 9 p.m. at night. She had just made this juice box salmon for dinner and loved it so much she was convinced her kids would gobble it up. She was right. Her kid’s loved it. I needed to make this dish. Just the name alone intrigued me. 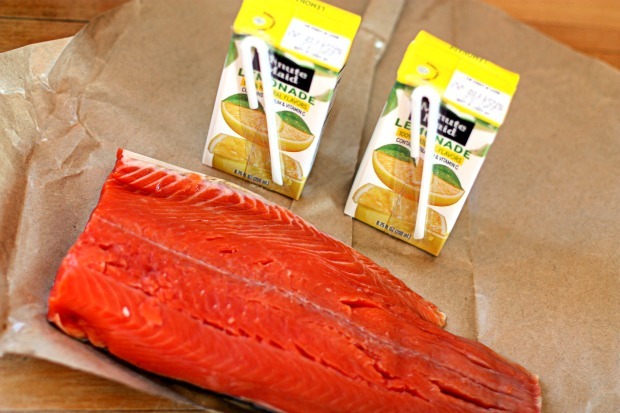 ‘Juice Box Salmon’ is salmon poached in a juice box of lemonade served with a side of russian dressing. Its the perfect balance of sweet & tangy. The Russian dressing makes for the perfect dipping sauce. Preheat oven to 500 degrees. Line a 9×13 inch pan with parchment paper or foil. Sprinkle salmon with salt & pepper. Pour juice box lemonade into pan. Place salmon in juice. 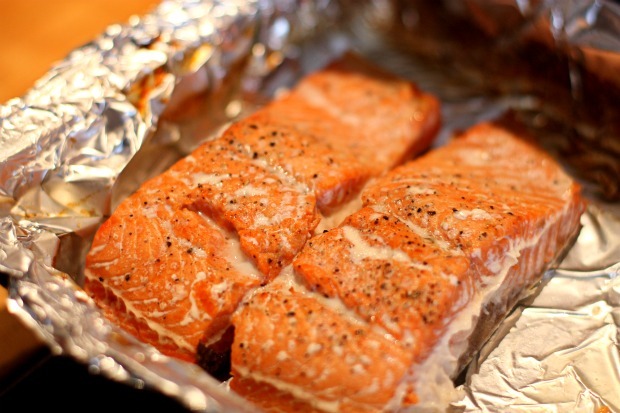 Loosely place parchment paper or foil over salmon. Roast for 15 minutes. While salmon is cooking, prepare Russian dressing. 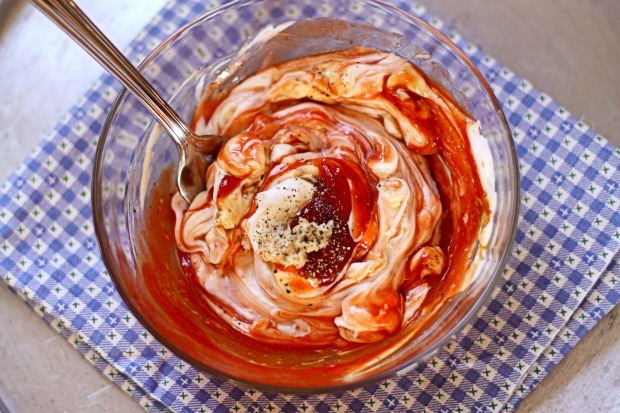 In a medium bowl, combine mayo, ketchup, horseradish, Worcestershire, dill relish, & onion salt. Mix well & refrigerate until ready to serve. Juicebox salmon! What a neat idea. It looks delish. what a fun idea! and i’m sure PERFECT for parents with little kiddos…i bet juiceboxes are a daily thing! How unique! 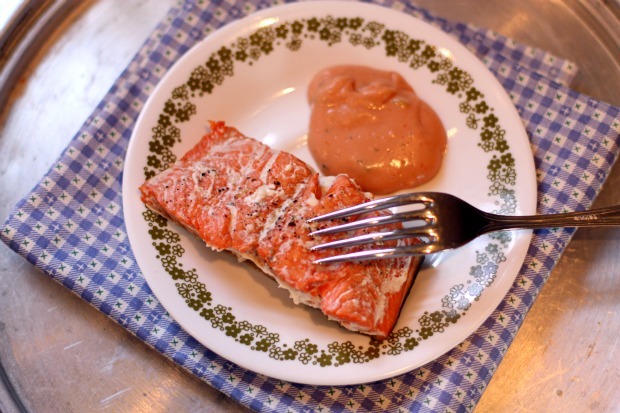 It sounds like a wonderful combination of flavor and we LOVE salmon in my house! That’s such a clever idea! And a fun one for kids, I bet. I love recipes like this! Unique and tasty! This salmon looks great. I’m always looking for new and easy salmon recipes. I can’t wait to try it!